I’m glad I wore my hiking shoes. The path from Corniglia to Vernazza is narrow, and more than a bit precarious. To my left is a steep hillside of stacked rock. On my right are rocks that define the jagged coastline—a plummet of about 400 feet. A flimsy railing separates the hiker from the cliff edge, but I doubt it could hold back anything weightier than a small rodent. Did I mention that I don’t like heights? Not knees-quaking petrified, but if given the option of viewing the plains of Kansas or contemplating the precipice that could instantly end my life, I think you know which I would choose. When my husband and I began this trek, I was inwardly praying for deliverance, but now... the path has widened, the railing ahead looks much more substantial, and there is just so much beauty to take in. Like a small child distracted by the lollipop at the doctor's office, I have forgotten my fears. 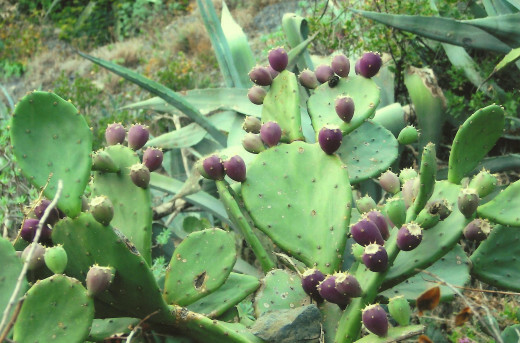 On my right, inches from the railing are clusters of prickly pear cactus. The flowers have long since faded, and have been replaced by fat pink globes. If you grasp them carefully (a kerchief will help) they can be split open to reveal honey-sweet, sticky fruit. A peregrine falcon glides on an air current and then dives into the sea, a sea of unbelievable brilliant blue. And, the plant life—the air is filled with the scent of juniper, camphor-like myrtle, the heady perfume of lavender, and rosemary. For more than 1,000 years the inhabitants of the Cinque Terra have shaped the hills, creating terraces and dry stone walls to convert a once unusable land to an area that supports the cultivation of such crops as grapes, herbs, and olives. This area is protected with the establishment of the "Cinque Terre National Park" and has been named a UNESCO World Heritage Site. 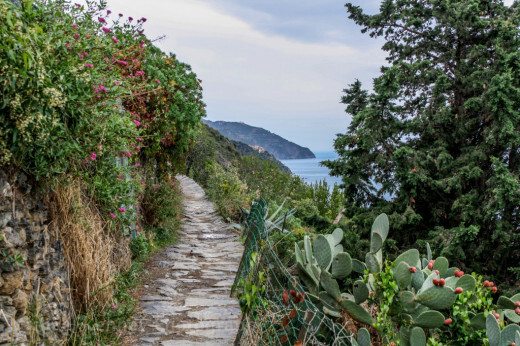 While other parks are created to protect the environment from human activities, the Cinque Terre was established to encourage the inhabitants to act on the landscape by cultivating and taking care of it with their long-held traditional methods. This beautiful evergreen bush with pine-scented needle-like leaves is associated with memory; the herb’s enduring fragrance probably has a lot to do with that. In ancient times it was woven into a headpiece for the bride; the groom and guests wore sprigs of rosemary on their clothing. (“There’s rosemary, that’s for remembrance. Pray you, love, remember.” Ophelia in Hamlet, Act 4, Scene 5). 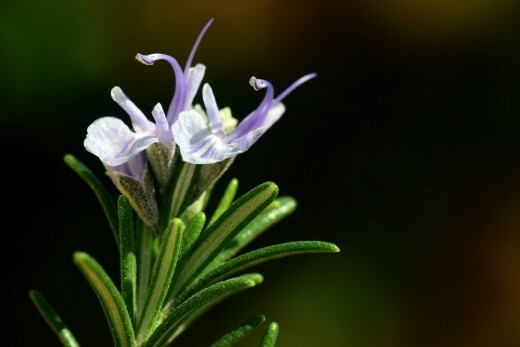 By the 17th century rosemary made the voyage across the sea from Europe to America. Its use at that time was primarily as a fragrance for soaps, perfumes, and the occasional comfort tea. However, when French and Italian immigrants began to arrive in the late 19th and early 20th centuries, the culinary magic of rosemary was finally discovered. 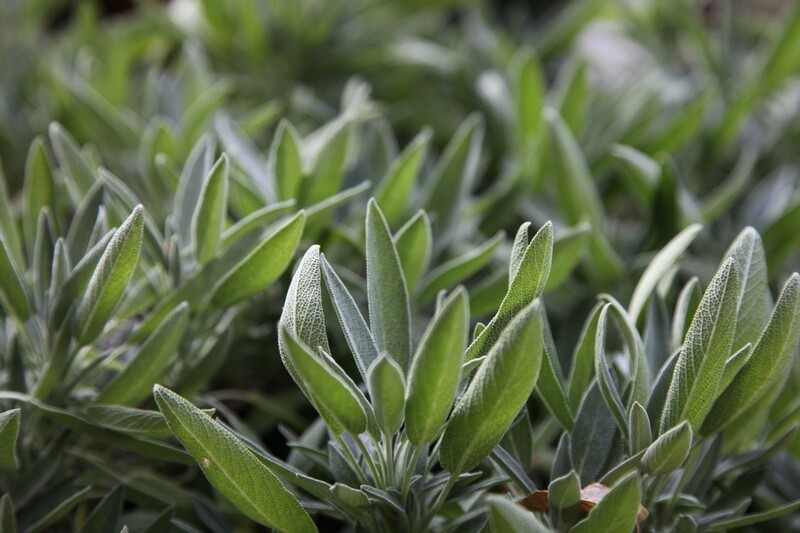 Rosemary is easily available, fresh or dried, throughout the entire year, and it is relatively easy to grow. 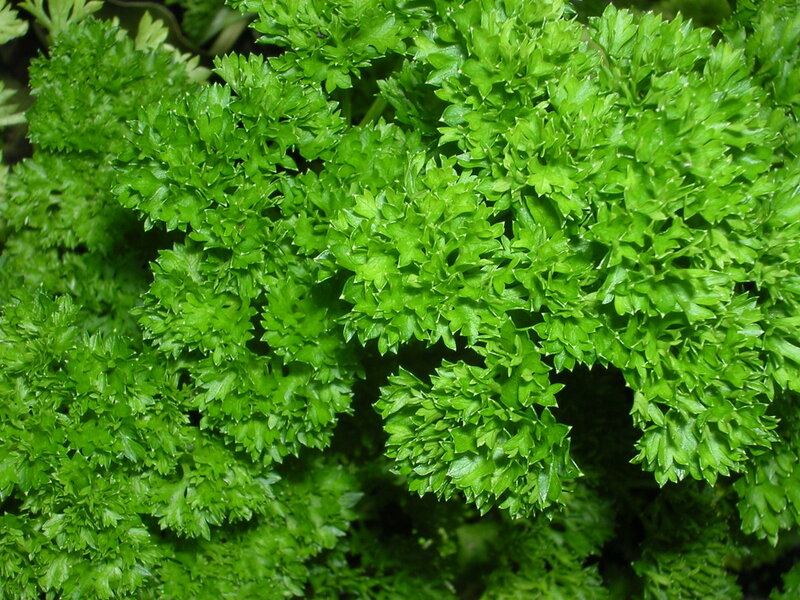 Cooks throughout the Mediterranean area have had a centuries-long love affair with this fragrant herb. 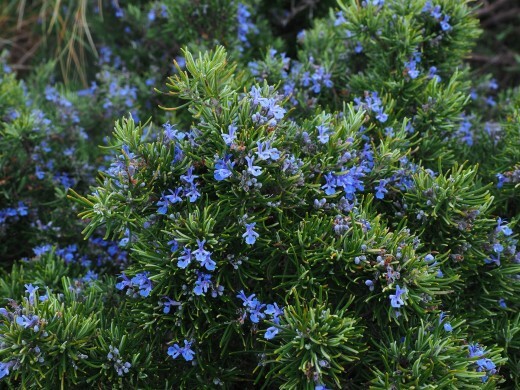 Rosemary (the Latin name is Rosmarinus which means "dew of the sea") thrives in weed-like fashion on the rocky coast, and it flourishes inland as well. 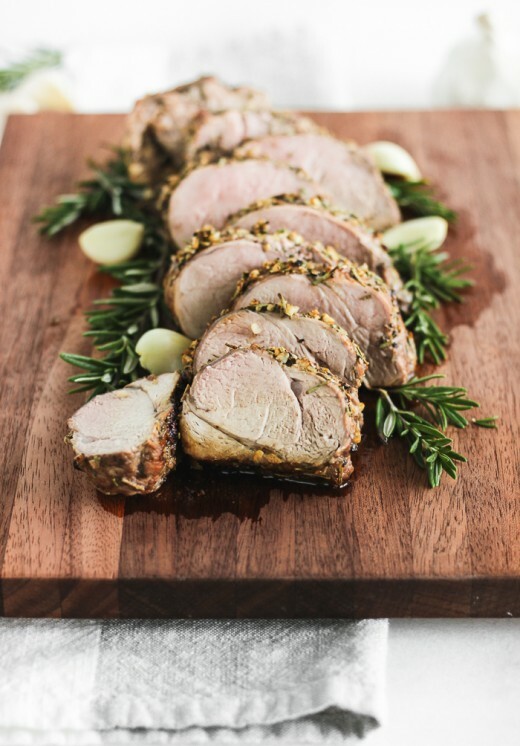 What would a meal of Tuscan lamb be without the flavor of rosemary, or a pork loin without Herbs de Provence? The camphor and pine scent of rosemary is unmistakable. And the pleasure of rosemary is inseparable from the places where it grows and the memories those places create. 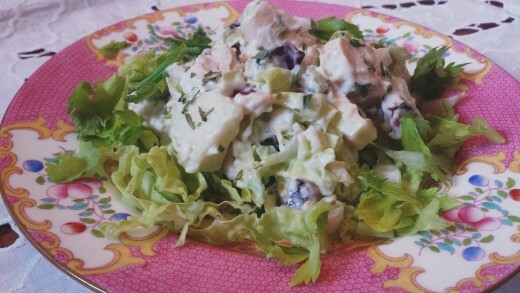 Here are a few recipes from the Carb Diva files to help you create memories for your family. In a small bowl whisk together flour, salt, baking powder, and rosemary. In a separate bowl mix together butter, honey, and confectioners sugar with an electric mixer at low speed, then add flour mixture; mix until dough resembles coarse meal with some small (roughly pea-size) butter lumps. Gather dough into a ball and transfer to a lightly floured surface. Knead dough until it just comes together, about 8 times. Halve dough and form each half into a 5-inch disk. Roll out 1 disk (keep remaining dough at room temperature) between 2 sheets of parchment into a 9-inch round (trim as necessary). Remove top sheet of parchment and transfer dough on bottom sheet of parchment to a baking sheet. Score dough into 8 wedges by pricking dotted lines with a fork, then mark edges decoratively. 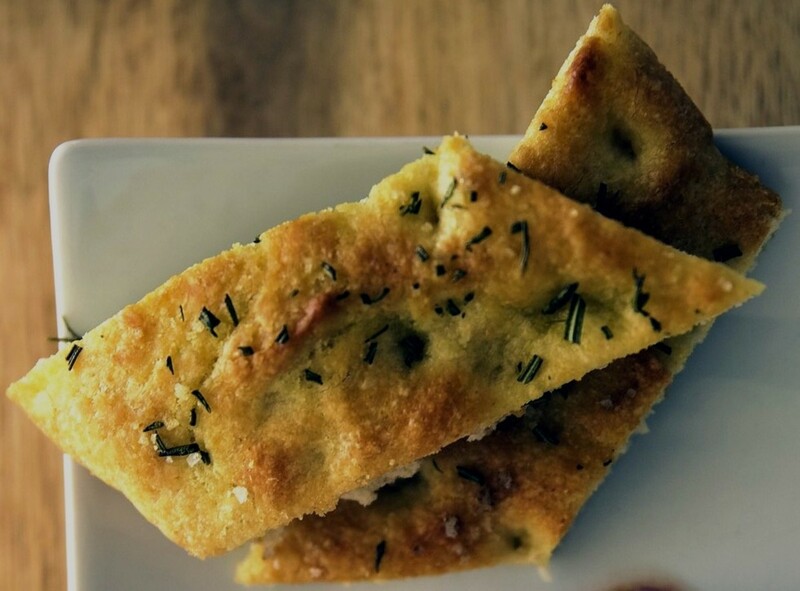 Arrange rosemary sprigs (if using) decoratively on top of dough, pressing lightly to help adhere, and sprinkle dough with 1/2 tablespoon granulated sugar. Repeat with 2nd round of dough. Bake shortbread in middle of oven until golden brown, 20 to 25 minutes. Slide shortbread on parchment to a rack and cool 5 minutes. Transfer with a metal spatula to a cutting board and cut along score marks with a large heavy knife. In a baking dish large enough to hold grapes in one layer cook grapes in the middle of the oven 30 minutes, or until soft and sticky; cool slightly. In a small bowl, combine 1/4 cup warm water with the sugar and yeast. (The temperature of the water should be warm, not hot. If you have ever tested the heat of the milk in a baby bottle you will know what I am talking about. It should be warm on your wrist.) Let the water/yeast mixture stand in a warm place for about 10 minutes, or until it is bubbly and begins to smell yeasty. In another bowl, combine the flour and salt. Make a well in the flour, add the water/yeast mixture, the remaining 3/4 cup warm water, and 3 tablespoons olive oil. Begin mixing flour and liquid with your hand; mix until you form a dough that cleans the sides of the bowl. Clean off your hands. Lightly flour a work surface. Place the dough on the surface and begin to knead with the heel of your hand, turning and folding the dough as you knead it. Knead 5 to 8 minutes, or until dough becomes smooth and elastic. Put dough into a clean bowl and let rise, covered with a kitchen towel in a warm place for 1 to 2 hours, until doubled in bulk. Preheat oven to 350 degrees F. Coat the bottom of an 11x7-inch baking pan with cooking spray. Pat the dough into the pan. Brush surface with 2 tablespoons olive oil. Indent surface of dough by pressing all over with your fingertips. Evenly distribute grapes over the surface of the dough; sprinkle rosemary and coarse salt on top. Cover with a clean kitchen towel. Let rise in a warm place for about 45 minutes, or until doubled in bulk. Bake for 30 minutes or until puffy and lightly golden on top. Combine all ingredients in large mixing bowl. Cover and chill at least one hour to allow flavors to blend. 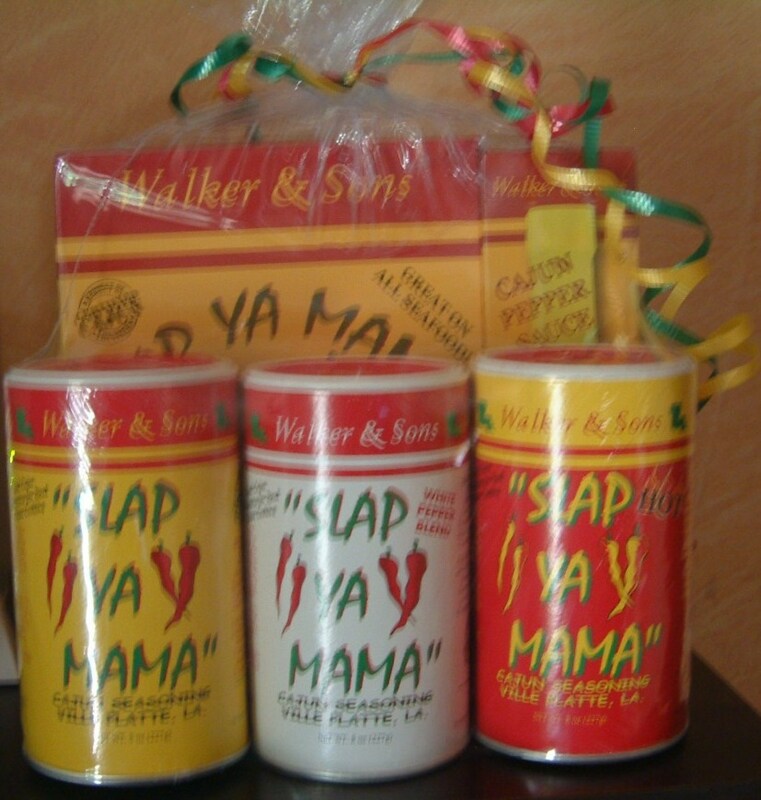 Spread on bread of your choice. My personal favorite is honey oatmeal. Kaleigh is a registered dietician and reminds us how tender, moist, and delicious a pork tenderloin can be. A simple marinade and fresh herbs (rosemary!) make this dish which is easy enough for a weeknight family meal but the beautiful presentation of company-worthy. CrisSp - Thank you so much. I had not thought of using rosemary and orange peel as a room deodorizer. Simmering cinnamon sticks in water is an old real estate ploy. This is another favourite herb of mine and rosemary shortbread cookies sound good. I've never tried it but will bookmark this for the recipe and for growing rosemary plant. I use rosemary for roasting turkey and chicken though. I also mix it with orange peels , cinnamon sticks and vanilla to simmer when I need to refresh the house. I don't like fake, synthetic sprays. Good morning Lawrence. Yes, I love rosemary. It is one of the few things I can grow in my garden that the deer will not destroy. Thank you. Rosemary is awesome!!! There's no other way to describe it! I've got two bushes I grew from cuttings and we cook with it all the time! Flourish - I am glad that you enjoyed (vicariously) the hike. It really was quite beautiful--and then to be rewarded with a stay in Vernazza is like a cherry on top of the sundae. Thank you for your kindness and support. Your description of that hike was beautifully written! It made me feel like I was there with you (although I am glad I wasn't, being afraid of heights, too). Such a wonderful hub! Voted up and more! Buildreps - You were in Cinque Terre? How can one ever visit that place and not fall in love with it? (BTW, when I'm not cooking I'm a crazy cat lady--perhaps that is one of the reasons I swoon when I think of Vernazza--it was full of kitties). Thank you for reading and commenting on my hub. Interesting Hub with a few great Italian recipes. I feel a littlebit similar with your perception of the Vernazza-Corniglia trail. I walked the trail too, and I feel the same about it too. The path is of an unmatched divine beauty. Sometimes were the slopes left and right so steep, and was the path so narrow. Thanks for the memories! Bill, You don't know what praise from you means to me! You make me feel like dancing. RTalloni - I am in love with the Cinque Terre region of Italy, and most of all Vernazza. I don't have any experience with using coconut oil, especially when baking shortbread. I know that margarine is definitely NOT a good substitute. You might try a Google search. Good luck, and please let me know what you learn. I'm still singing the song. I have to tell you, Linda, and I don't say this often...this is an excellent example of how a recipe hub can be written and be interesting. This really is a very good job of writing. Kristen - Thank you for your kind words and your support. 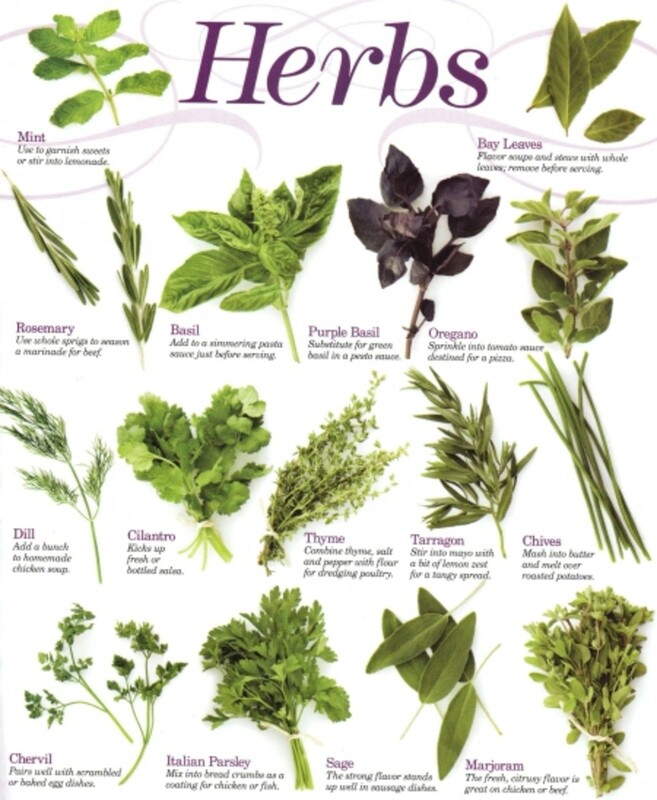 I really like using fresh herbs. An added benefit for our family has been that we use less salt. 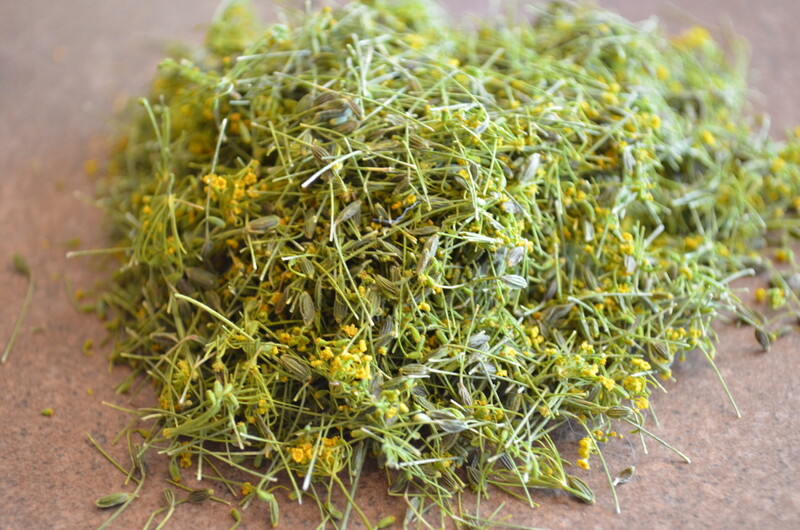 Carb Diva, this was an insightful and useful hub about rosemary and how to use it as a spice to your foods for flavor. Voted up!